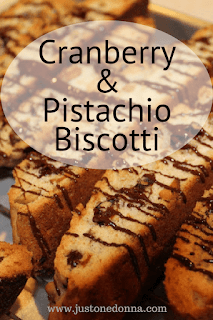 I do like a special cookie or two for the holidays though and this cranberry-pistachio biscotti has become a favorite of mine over the past few years. Make it this weekend and treat yourself. It is the perfect cookie to have with a hot cup of tea when you want to take a break from the hectic pace of holiday preparations. Directions: Preheat the oven to 350 degrees F and line a baking sheet with parchment paper. Measure the flour and baking powder into a medium bow land whisk to blend. Using an electric mixer, beat together the sugar, butter, lemon zest, and salt in a large bowl to blend. Beat in the eggs 1 at a time. Add the flour mixture and mix until just blended. Stir in the pistachios and cranberries. Form the dough into a log, approximately 13-inches long and 3-inches wide on the prepared baking sheet. There is no need to obsess over the size of the log, but know that its size will impact the cooking time. Bake until light golden, about 40 minutes. Cool for 30 minutes. Don't cool longer or the cookies will be brittle and crumble when sliced. Stir the chocolate in a bowl set over a saucepan of simmering water until the chocolate melts. Place the biscotti on racks over parchment or waxed paper. Using a spoon, drizzle the chocolate over the biscotti. Refrigerate until the chocolate is firm, about 35 minutes. I like to make these biscotti ahead of time. Store them in an airtight container up to 4 days, or wrap them in foil and freeze in resealable plastic bags for up to 3 weeks. They freeze very well. 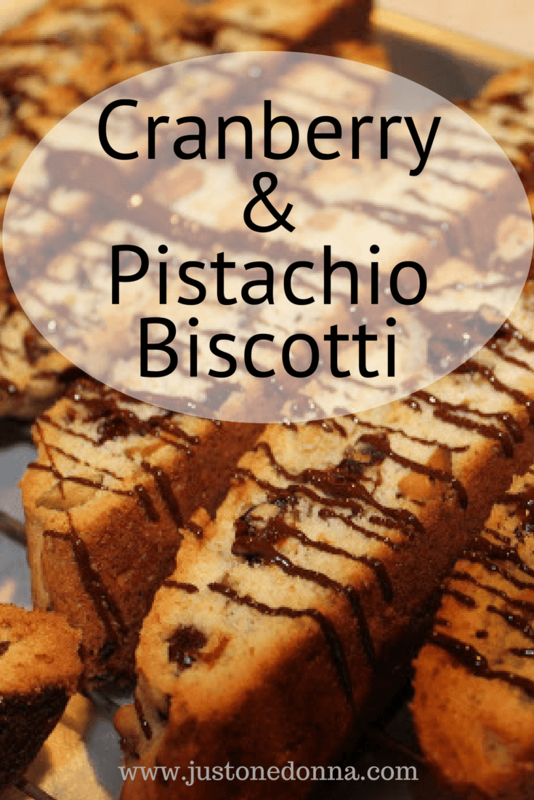 These biscotti are sure to become a favorite of yours. The contrasts of the sweet, crunchy and tart make this a holiday winner, but don't just make them for holidays. These are perfect any time of year.